Today we bring you a compilation of their finest pieces dedicated to exemplary work done by powerful lyricists like Gulzar, Javed Akhtar,Amitabh Bachchan etc. Facebook is an amazing platform to come across excellent poetry and good pieces of literature. 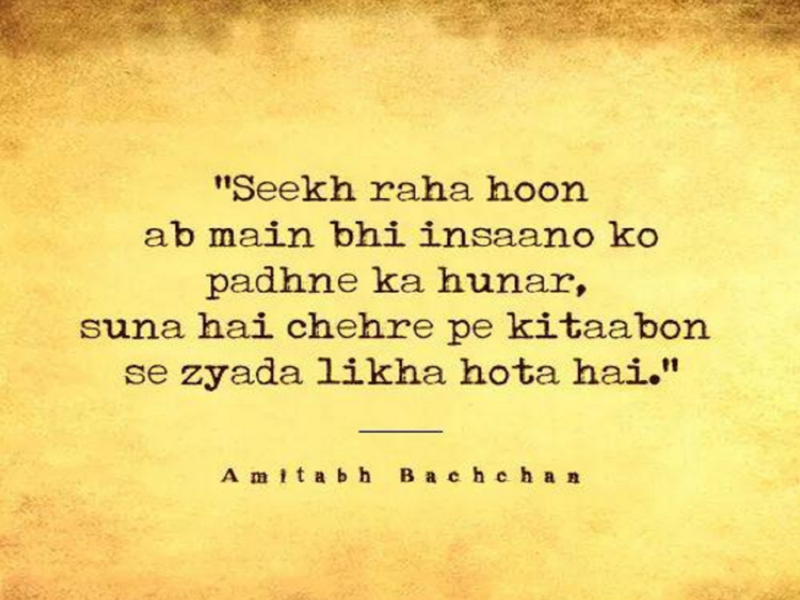 Wordgasm is a similar sub platform which compiles and illustrates soulful quotes from books, novels, movies and more. Today we bring you a compilation of their finest pieces dedicated to exemplary work done by powerful lyricists like Gulzar, Javed Akhtar and other celebrated actors and writers like Amitabh Bachchan and Piyush Mishra. Their beautiful words will surely make your day. All images sourced from Wordgasm’s Facebook page.